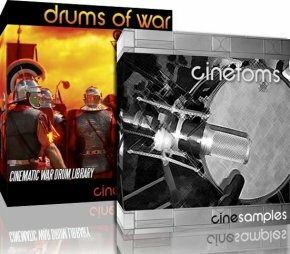 Discount of US$ 15,00 for members in the purchase of Drums of War and Cinetoms instruments together, produced by Cinesamples. Discount price: US$ 134,00. Kontakt 2/3 and EXS24 formats. Send an e-mail to admin@cinesamples.com to get the discount.